Question: What age and grade levels can play in the Club? Answer: Boys & Girls Born between 2016 and 2005, ages 3 - 14, typically grades preschool to 8th. 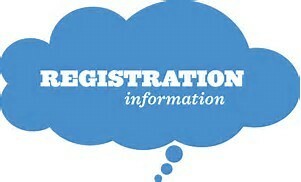 Question: Noticed that when I registered for previous seasons, the registration was based on the grade level. Now it is based on birth year. Why the change? Answer: We are trying to align our Programs to reference birth years. Between U numbers, grade and birth years, it could get quite cofusing for everyone. The birth year is the simplest and most understood format to reference, especially for the processes and communications that move players from the Intramural Program to the Travel Program. Question: I registered. What is next? Answer: Wait to hear from us. You will be receiving more and more communications from the Club as we get closer to the Season Opener. Question: When will I receive my team information, practice and game schedules? Answer: Teams will be formed and activated on the website mid March. This will trigger all coaches and all players to receive their team information as an email notification. When this happens, coaches are encouraged to start communicating with their teams right away and start making plans for the first practice. Coaches should plan to get at least two practices in before Opening Day. During these initial practices, the coaches will determine the team's practice schedule, typically something that is the same each week. Game schedules and field assignments will be posted onto the website on the weekend before the season opener. Each week you will receive email notifications from the website on upcoming games. Question: Does the Club use a phone app? Answer: Yes. We encourage everyone to download the SI Play app for his or her phone. This will allow you to see scores, schedules, receive all team emails, texts and have direct communication with the coach and the rest of the team. TeamWALL is no longer supported by the vendor and we no longer use it. Question: I would like to coach a team. How does it work? What is required? Answer: We have a registration for that. You can select Apply to Coach/Volunteer while logged into your account. For the 2018 Fall season, coaches are credited for one player, so their child plays for free. Assistant Coaches do not receive a credit. All Coaches must pass a mandatory background check prior to the start of the season. Other aspects of coaching are addressed in the upcoming Coach's Handbook, through professional training and through Club Leadership. No prior coaching experience is required nor is there a requirement to have deep knowledge of soccer. Intramurals is a recreational and learning program and it is about having fun together and enjoying soccer. Question: Where are the games played?. Question: Where are the practices held?. Answer: Practice is set by each individual coach and usually it is for one hour anytime Monday through Friday 4-8PM. Practices can also be held on Saturday before your game, after your game or Sundays. Every team is required to practice at least 35 minutes a week. Question: I would like to volunteer and help out, not as a coach, but in some other capacity. How do I get involved? Question: How are teams formed? Answer: We are using registration questions to allow us to form teams that are better balanced. Height, grade level and experience are key factors. Question: I would like to ask for a specific coach or for my child to play on the same team with his friend(s). Is that possible? Answer: Yes, we will do our best to honor requests, so long as it does not affect the balance of the teams. We want to maximize the fun factor for our players and their families and we realize that playing on the same team with friends or being with a coach that a player is comfortable with are key. ALL REQUESTS MUST BE MADE DURING REGISTRATION. NO EMAIL REQUESTS WILL BE CONSIDERED. Question: Are the Divisions coed?. Answer: Only the 2015 & 2016 Division. Question: Where can I buy uniforms?. Answer: Port Jeff Sporting Goods carries the Terryville Soccer Club Intramurals uniforms in the store. Question: What size ball is used?. Answer: 2016 through 2012 use size 3. 2011 through 2005 use size 4.